In 1966, when Fashion Uniforms cut and assembled their first range of workwear uniforms, beehives were big, ties were wide and men wore hats. Fifty years later hair is sleek, ties are skinny, hardly anyone wears a hat and yet and Fashion Uniforms are still producing quality New Zealand-made corporate wear which is right on the button. Celebrating their 50th anniversary in November, Fashion Uniforms is a New Zealand success story in every way. The company has survived numerous business challenges – rapid growth, shortage of skilled workers, relocation, Rogernomics, offshore manufacturing and ownership changes. Through thick and thin, crimpolene and chiffon, polyester and polarfleece, Fashion Uniforms has adapted readily to market conditions and clothing trends. 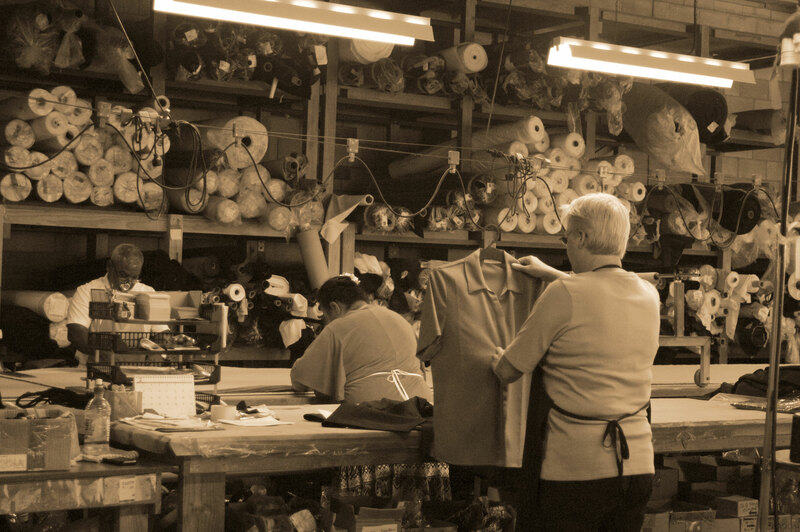 Today the company is one of very few long-lived apparel manufacturers remaining in New Zealand. Ron Jamieson, founder of Fashion Uniforms, remembers when he decided to strike out on his own. He’d just been made redundant from a business called Action Uniforms. 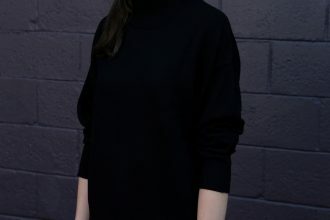 “At the time there were only two companies making uniforms in New Zealand – my recent employer Action Uniforms, and another company called Professional Uniforms. Ron purchased second hand machinery and found premises in Onehunga. Within a few months, another space was rented to accommodate the rapidly-growing company. Ron didn’t only focus on getting customers and making sales, he was determined to understand every aspect of the uniform making process. “When I started Fashion Uniforms, I had no idea how to produce a garment. I was a marketer, not a tailor. To have a complete knowledge of the business, I learned how to cut and produce garments. Within a short space of time, I was making my own patterns.” The business flourished and many of the staff from those early days are still part of the team giving the company a continuity others would envy. This level of determination has continued to fuel Fashion Uniforms throughout the years, even when free market reforms in the 1990s opened the doors to cheap uniform imports from offshore. To maintain price competitiveness, particularly in the supply of bulk items like polo shirts, synergistic relationships were formed with carefully selected manufacturing facilities in China and Fiji. The early 90s also brought a more sophisticated way of dressing for corporate workers. Fashion Uniforms responded to this opportunity with a stylish range of corporate jackets, skirts, pants and blouses. The introduction of this new range coincided with a move to highly accurate, time-effective computerised cutting. Another leap forward came in 2003, when the SARS outbreak inspired Fashion Uniforms to develop Biogarde™ antimicrobial fabric, which is still the only fully antimicrobial fabric made in Australasia. These initiatives were a turning point that secured new customers and consolidated the future success of the company. Today Fashion Uniforms is New Zealand’s longest-standing healthcare and corporate wardrobe provider. The company is one of only a few apparel manufacturers in New Zealand with a dedicated local manufacturing resource. General Manager Chloe Sharplin believes the company is a survivor because it gives workers what they want – beautifully designed garments that fit with current fashion trends and are comfortable to wear. “Before I started at Fashion Uniforms, the words ‘fashion’ and ‘uniform’ used together felt like an oxymoron. They seemed mutually exclusive. However, after five years at Fashion Uniforms, I now know exactly what these words mean – they describe a fusion of what the customer needs and what they enjoy wearing. And what we enjoy making”, said Sharplin.